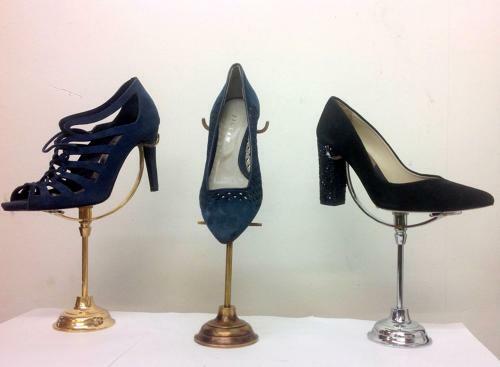 We make these bespoke shoe stands in three different finishes - Antique Brass, Brass and Chrome. These would be wonderful for a range of shoe displays, from glamorous shoes and boots to heels. Contact us for larger orders as we are happy to accomodate for bulk orders - we can also discuss rentals.